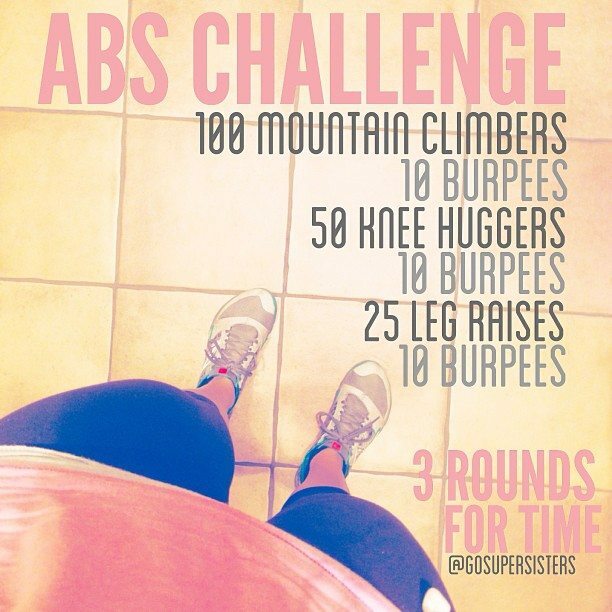 New Workout Challenge with Katie Dunlop and #TeamLSF from Love Sweat Fitness! I’ve been hanging out with Katie recently from LoveSweatFitness.com and after I told her about my crazy schedule this summer, she challenged me to try out her new Hot Body Sweat Guides, so I did… and let me tell you, I am obsessed!! We have met at a few different fitness events around LA and southern California, but we ended up really bonding during the YouTube Space LA Creator Academy we did together last fall. If you haven’t heard of her yet, her channel is SO incredible if you’re looking for free workouts, easy recipes and lots more. People ask me all the time if I have any fitness experts I look to for motivation or inspiration, and she’s definitely one of them! When you’re ready to take it next level, I highly recommend trying out her guides. Inside you’ll find everything you need to get fit from home, which is especially useful when you’re traveling, busy with work or school, or just don’t have the energy to make it to the gym. Katie is an absolute gem of a human being, so I’m happy to share this info with you too in case you want to join me. Ditch the gym and get the healthy, happy, hot body you deserve this summer! Women around the world are getting their sweat on with Love Sweat Fitness, a fitness and lifestyle community created by southern California’s Katie Dunlop. In January, Dunlop launched an 8 week at-home workout guide for women along with a 4 week meal plan designed to jumpstart your health and fitness goals. The guides are downloadable e-books complete with an easy to follow, step-by- step exercise and nutrition plan are based off of her own 45lbs weight loss transformation and experience as a certified personal trainer. The Hot Body Guides are tools to empower women to feel comfortable in their own skin. “No matter where they are in their own health and fitness journey, every woman deserves to feel strong, confident and “hot.” – says creator Katie Dunlop. The Hot Body Sweat Guide is filled with 8 weeks of fun, fast and effective workouts that women can do at home, with little to no equipment. It’s packed with over 135 pages that, in addition to the workouts, include a warm-up and stretching guide, exercise encyclopedia, fun bonus workouts and TONS of motivation! Unlike other guides, the Love Sweat Fitness Hot Body Sweat Guide is perfect for ANYONE. 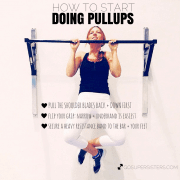 Whether you are just starting to workout or you are a fitness guru, the guide gives clear modifications and adjustments to make the program perfect for you! The Hot Body 4 Week Meal Plan is the perfect way to change your lifestyle for good. If you have ever felt that eating healthy is too complicated or boring, this plan is for YOU! Take the guess work out of eating healthy with an easy to follow daily meal plan. The guide gives 5 easy to follow, super filling meals each day that jumpstart your metabolism, burn fat and give you energy all day long! It’s loaded with recipes, a grocery shopping guide and Dunlop’s top tips to get REAL, long lasting results. You can’t out-train a bad diet! And abs aren’t just made in the kitchen. It takes a combination of the right nutrition AND workouts to truly transform your body. If you want to increase your confidence, boost your metabolism and get a strong sculpted body, you need the perfect balance of both! That’s where the Love Sweat Fitness comes in. And the best part is, you don’t have to do it alone! Along with the motivational notes throughout the Hot Body Guides, the Love Sweat Fitness community has your back. #TeamLSF is made up of over a half a million women across the globe, from all different walks of life, who are there to support and encourage you along the way! PS – Yes, I get commission for purchases or clicks made through links in this post. 🙂 I hope you love her programs as much as I do! https://supersisterfitness.com/wp-content/uploads/2017/09/IMG_1018.jpg 1536 2304 Liz https://supersisterfitness.com/wp-content/uploads/2017/09/SSF-logo-plain-pink.png Liz2017-09-07 06:00:512017-12-27 17:19:33New Workout Challenge with Katie Dunlop and #TeamLSF from Love Sweat Fitness! 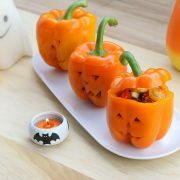 Healthy Halloween Recipes | Spooky Stuffed Peppers!